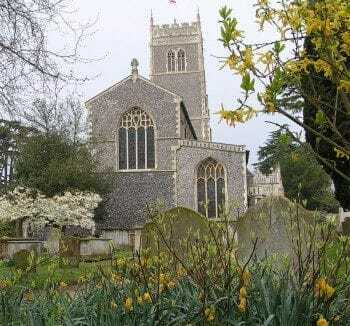 A great English church that sailors use as a focal point when sailing up the river Deben. The tower is one of Suffolk’s biggest, bold and dramatic and the stained glass is beautiful. The Domesday Book records in 1086 that in ‘Wodebryge’ there was‘A church with 19 acres’. A leaflet and a full guide are available in the church.